Harry Jol earned his B.Sc. (1987) and M.Sc. (1989) from Simon Fraser University (British Columbia, Canada) and Ph.D. (1993) from the University of Calgary (Alberta, Canada). He then was awarded to 2 post-doctoral fellowships – University of Calgary Post-Doctoral Fellow followed by a Natural Sciences and Engineering Research Council of Canada (NSERC) a Simon Fraser University. In 1996, he took a position at the University of Wisconsin-Eau Claire where he is presently a Professor. He is an adjunct associate professor at the University of Toledo and Associate Researcher with the Bethsaida Excavations Project. During his Master's degree he worked on the Fraser River Delta (south of Vancouver, Canada) conducting a high resolution shallow seismic program in cooperation with the Geological Survey of Canada. 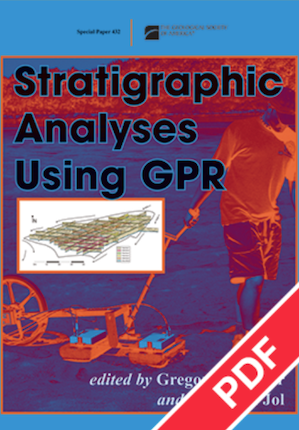 During in his Ph.D. research through to the present he has utilized ground penetrating radar (GPR) at more than 1200 sites in North America, Europe, Israel, New Zealand and Australia. He has a broad background in many fields of the earth sciences, particularly geomorphology, sedimentology and more recently in geoarchaeology. Much of his research is collaborative in nature with other researchers from federal to state agencies, private industry to academic research institutes. He looks forward to collaborative research and continuing his GPR research program. Not all content is original to jolgpr.org. When necessary, appropriate citations are made. Click here to view Citations.